I (Lak Loi) decided to post this article, because I found it very intriguing, though not surprised, that there is yet another claimed encounter with Bruce Lee on the set of one of his movies, namely The Big Boss with a Muay Thai fighter which I learnt about recently, and wanted to share this exciting story with you. Enjoy (written by Tony Stokes). Grand Master Woody or Kune Chinawut Sirisompan was clearly one of the foremost pioneers of the Muay Thai movement back in the early seventies. There was only a handful of “real” Muay Thai clubs that ran in England at that time. Master Woody, Master Toddy, Master Krin and Master Sken. If you had the insight to learn the functional art of Muay Thai when everyone else was still dressing up as ninja’s in the early 1970-1990’s it was most likely you had been taught or affiliated with one of the Thai gentlemen above. Master Woody speaks with an interesting accent. A syncopated rhythm of Manchesteric-undertones blended with a strong Thai backing track, making for an alternative melody. But we all know about Master Woody’s life, many articles have been written, but what is less known are the two stories below. 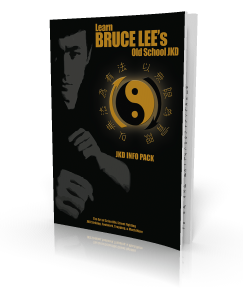 One is an amusing anecdote and the other an interesting and controversial tale and both involve no other than the legendary Bruce Lee. Master Woody told us, whilst Bruce Lee was filming The Big Boss in Pak Choy, Thailand, that Bruce and the production team were scouting for a rural location near the ice factory, which coincidentally, is still there and intact retaining a lot of its original structure to this day. Bruce Lee posing between takes with the Thai stunt team…was the Thai Boxer among these Thai men? As Bruce and the crew searched for a suitable location which would act as the ‘big bosses’ residence, which would need to look impressive for the final fight scene between Bruce and the Big Boss. Bruce stumbled upon a large stately house. It had a sizable garden area with a spirit house and small water-pool feature. This was perfect, for what Bruce had planned. Bruce approached the location and knocked on the door on the impressive house. The owner of this property was none other than Master Woody’s uncle. One can imagine an athletic and energetic Chinese man who does not speak Thai is at the door asking if he could hire the grounds for a few days to film some Kung Fu flick called The Big Boss. Little did they know, it was Bruce Lee who was jumping around their front garden planning a climatic fight to the death about killing a Thai gang leader who was also a kingpin drug lord, not to mention, enjoyed smuggling drugs and chopping-up prostitutes and then packing them in ice; as you do! A controversial plot, to say the least, for a movie that was being filmed in a very Nationalistic politically charged Thailand of the 1970’s. It was an entertaining story which seems to live-up to Bruce’s spontaneity and charismatic personality. Woody also had another story to unleash which would maybe shed new light on an unanswered tale from the Bruce Lee vaults. We have all heard the tales of Bruce being challenged, two of which stand out the most. I recall asking Jim Kelly and Paul Heller personally about the Enter The Dragon challenge which they both confirmed during a competitive Q & A session in London at a ‘Tracking The Dragon’ convention back in the early 1990’s. The other run-in would have to be the infamous Wong Jack Man fight in Bruce Lee’s San Francisco martial arts school in 1964, which of course has also been confirmed by Linda Lee. Bruce won both fights. Unlike these infamous stories that have now become legendary, this fight was apparently, not so one sided for Bruce and as yet, still surrounded by mystery and still not officially confirmed. According to Woody – Bruce was in between shots and was challenged by a fairly experienced Muay Thai Fighter that was a local champion and who worked on the Thai production stunt team. Legend has it, that an informal session ensued between Bruce and the Muay Thai champion which (surprise, surprise) got a little heated. In the exchange Bruce may have been caught with some low-line shin kicks to his legs. The film’s director Lo Wei, may have even seen this match along with the extras and countless Thai local that seemed to be always wondering around on set, but no one really knows for sure. This is purely speculation, but from the other research and Woody’s explanation this seems to be the most recurring narrative. Woody, who did not witness the fight himself, but was apparently told to him by an old relative many years later after Bruce had died. My impressions of this story is that it could be one of two elements. Firstly, its simply a fake story by a Muay Thai boxer who wanted to get some notoriety for himself and his camp after Bruce became world renowned. Alternatively, if it did happen and Bruce was playing along with the Muay Thai boxer who maybe got away with a few cheeky low-line shin kicks on Bruce, but ultimately, had to stop for the sake of the film. It has also been remarked that the on set Thai’s who did not care who Bruce Lee was and just wanted to make some money by betting on the Thai to see if he could kick Bruce. It’s also rumored that Bruce found the Thai’s difficult and unprofessional to work with. Their filming methods, people walking on set, interruptions, talking while filming and disagreements with director Lo Wei, all took its toll. Guru Dan Inosanto has been asked about this incident and said that Bruce never talked about it, so Dan just assumed that it never happens. That said, there is indeed an insightful conversation between Bruce and Dan Lee which includes a reference to the Thai’s and coincidentally, Dan Lee does indeed pick-up on the very same element that Woody mentioned; Kicking or more specifically, those destructive, low-line shin kicks to the opponent’s thighs. So we do know that there was indeed a Thai Boxer Champion on set of the Big Boss as Bruce refers to him as a “stuntman”, who was also a Bantam weight Thai boxer Champion. The last three words of the above quote also have me asking questions when Bruce says, “I’ll show em!”. Bruce Lee replies: “Well, not all of them, they do that; you know, you can do that when you are stationary, but not when you are constantly moving”, (followed by Bruce whistling). Is Bruce hinting towards something there? It appears to be an open-ended statement which could imply something either way, this last sentence on the matter ever recorded, is then punctuated with whats may be, a whistle of recognition or dismissal? My overall impression is that Woody’s story was told with truth and integrity, but the fact is, that we will never really know. It would be fascinating to get other extras from the movie set to ask more questions, but unfortunately, most are no longer with us or have been simply impossible to trace. Little is known about this story which is what makes it even more intriguing. When such a story comes from someone of such high regard one has to ask oneself what really happened on set of The Big Boss that day. We may never know unless someone comes forward who has more on this remarkable story. Or again, it just might be a case of Chinese whispers…no pun intended.